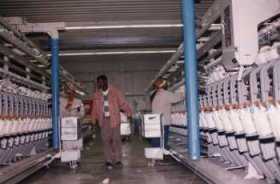 ALMEDA TEXTILE SHARE COMPANY as a leading Textile manufacturer in Tigrai, Ethiopia at the horn of Africa. 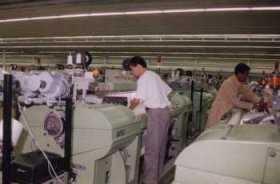 Almeda Textile is a non-governmental entity invested by endowment fund for rehabilitation of Tigray (EFORT) which is the total investment of 94.22 million US Dollar and sixty percent of total investment of Altex goes to all the brand new the most advanced Textile equipment which gives fully guarantee to quality and efficiency. 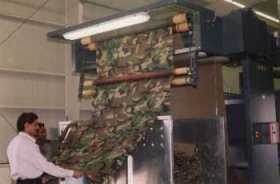 ALMEDA Textile products are always market oriented in Varity, price and punctual in delivery time. There are yarns NE6-NE60 all cotton p/c blended sheeting Poplin, Twill, Drill fabrics Canvas and Terry Towel with the total capacity of 7000 tons of yarn 24 million square meters of gray fabrics and 36 million square meters of finished fabrics per year with 1300 work force. In addition the entity has a reasonable capacity to produce any design sketches ordered by customer.